Finance and banking are some of the high intellect industries, which are growing at a faster rate. 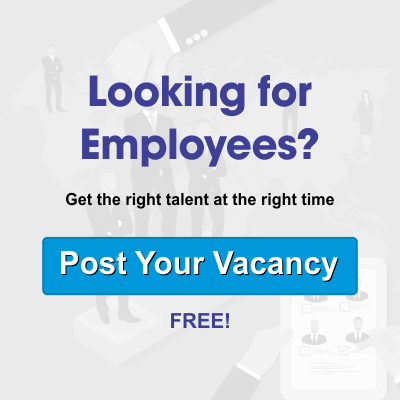 Therefore, these experts are currently looking for the expert candidates, who can easily let their business grow in the most comprehensive manner. With such an overall growth in this venture, it is mandatory to catch up with finance headhunters, ready to help you find the best experts. And that’s when you call us at Alliance Recruitment agency for help. We have separate headhunter finance, ready to help you. Get along with our financial services headhunters, right away. Those days are long gone, when you need to hold an interview session, just to find the best financiers for your firm. This package is crucial and comprises of some interesting services. Most of the financiers are going to gather around here, and provide you with their sheets of talents. But, you need to find the right one, over here. And that’s when you have to call our headhunter finance for help. They are trained to help you find the best expert, around here. For the most promising financial services headhunters, you have to catch up with us. Our team has been associated with multiple financial sectors. So, we are aware of the right kind of experts, you are looking for your banking institutions. Sharing some of our real life experiences with you will give a quick note on our credibility, and things, that make us different from the rest. Our finance headhunters are well connected and known for their dynamic features. They have quite some experience in this current industry, and can help you to understand the finance and banking marketplace. They have also fulfilled multiple vacancies successfully, without any complaint from the employers. They got what they have been eyeing for so long, and came across the best candidate of all time. The team is hovering around some of the prime locations, where people are coming to take a visit. Moreover, we are offering some of the global opportunities to not just the corporates, but also to the candidates, as well. The clients comprise of some of the major investment banks, investment houses, commercial banks and some other large business groups. We have also served rating agencies, around here. Starting from the position of the financial reporting head to that of a store keeper, we are recruiting multiple people for your help. You can always rely on our headhunter finance, in case you are looking for some inventory controllers. We are covering the whole of financial sector, through our services. Starting from the telecommunication to the manufacturing to even the banking sectors, companies from multiple industries are in need of transcendent financial help. Such expertise services help in reducing cost and increase the revenue level. Proper financial services can also help in navigating intelligently through the M&A activity. With the help of our reliable recruitment team, you will be able to find the best candidates for managing the increased government regulation. We are here to deliver you with professionalism through our services. If you have any particular requirements from your financers, then make sure to get along with our team. We will sketch your requirements, and provide the same. Join hand with our finance headhunters; known for serving multiple people, at the same time. For any of your future headhunting services, make sure to give us a call. Other than covering financial sectors, we have other industrial niches to deal with, as well.